This kind of approach has undermined interethnic reconciliation in the Balkans, the Foreign Ministry stressed. Moscow also noticed the date – March 24-which the ICTY chose for announcing its verdict on Karadzic. On March 24, 1999, NATO’s coalition forces started its 78-day bombing campaign against the former Yugoslavia – another crime, which the ICTY has refused to investigate. “The civil war in the former Yugoslavia in the 1990s and the NATO bombardments are a tragic chapter in world history,” the Russian Foreign Ministry said in its release. “It is hard to imagine that only one side committed all the crimes in that war. The ICTY, however, continues building a myth of the Serbs’ sole responsibility for those events. 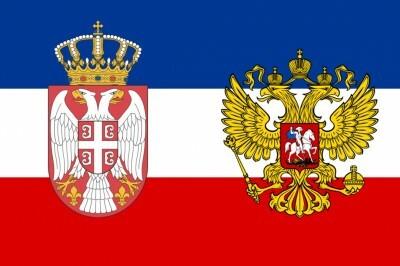 As a consequence, the dynamics of inter-ethnic and inter-confessional reconciliation in the Balkans has been seriously undermined,” the Russian Foreign Ministry stressed. Karadzic had served as the Serb’s leader in Bosnia during the civil war in the 1990s. The ICTY found him guilty on 10 out of 11 charges on Thursday. The only charge that was dropped related to allegations that Bosnian Serb forces had committed genocide in seven Bosnian municipalities. He had been indicted on two counts of genocide, five counts of crimes against humanity, and four counts of violations of the laws of war for his role as President of Republika Srpska (the Bosnian Serb Republic) from 1992 to 1996. “We will not allow anyone to use the verdict against the former president of Republika Srpska to point their fingers at us,” the statement said. Republika Srpska is the name of the Serb mini-state in Bosnia that was created by the 1995 peace agreement that ended the fighting. In the meantime, Russia’s Deputy Foreign Minister, Gennady Gatilov, stated that the ICTY’s activities have been “politicized”. The Russian Foreign Ministry pointed out that Russia supported the creation of the ICTY back in 1993, but warned that the court should not become an instrument of revenge or a place to settle old scores. “These expectations have not come true,” the Foreign Ministry said, adding that the ICTY judges don’t even bother to hide some of the more questionable methods adopted by the court. Moscow also pointed out that the ICTY was set up as a temporarily body and has been working on an ad hoc provisional basis for the past 20 years. Moreover, the court has continually ignored deadlines set by the UN Security Council. In his first reaction to the verdict of The Hague tribunal, the first president of Republika Srpska Radovan Karadzic has said that even after the attacks in Paris and Brussels, the tribunal and Europe still do not realize who the Bosnian Serbs were facing in the 1990s, Belgrade-based Vecernje Novosti daily reports. “This is disastrous and I cannot believe what kind of verdict was rendered. It is based on improvisation, assumptions, speculations, indications, rather than on the facts,” Karadzic said after the pronouncement of the verdict on Thursday, in a conversation with his lawyer, Goran Petronijevic, according to Vecernje Novosti. Wartime Bosnian Serb leader was handed a sentence of 40 years in prison for a number of crimes committed in Bosnia-Herzegovina (BiH), but was acquitted of charges of genocide in seven BiH municipalities. Serbia’s First Deputy Prime Minister and Foreign Minister Ivica Dacic said in Jagodina Wednesday that Serbia was pursuing the politics of peace and was tired of being lectured to on human rights and the rights of national minorities. “We as the strong, the strongest and the biggest in this region, we want to be an example to others,” Dacic said emphatically at a ceremony of unveiling of a wax figure of Russian President Vladimir Putin at the Wax Figures Museum in Jagodina, central Serbia. The fact that some countries in our neighborhood are member-states of the European Union does not mean that Serbia should be putting up with hypocritical remarks from them. Serbia should not be lectured to by those who “expelled hundreds of thousands of Serbs from their homes and killed thousands of people in genocide in Ustasha and Nazi camps during the Second World War, or those who killed Serbs and traded in their organs in Kosovo-Metohija,” said Dacic. Dacic added that he did not want to be comparing between our and their victims, but rather wanted Serbia to move forward and be big and strong, and our country had to be stable and economically developed for that to be possible. A wax figure of Russian President Vladimir Putin was added to the exposition of the Museum of Wax Figures in the city of Jagodina, Serbia, on Wednesday. Dragan Markovic, the speaker of the city legislature (Skupstina), said that Vladimir Putin was the holder of top awards of the Serbian state and the Serbian Orthodox Church. He is also the honorary citizen of 11 Serbian cities. “We decided to install Putin’s wax figure in a sign of gratitude to him, Russia and Russian diplomats for their support of Serbia at the United Nations and UNESCO when the resolution on Srebrenica and the admission of Kosovo to UNESCO were discussed; Russia has also been calling for consistent implementation of UN Resolution 1244 on Kosovo,” Markovic said. Belgrade sculptors Zoran Ivanovic and Branislav Crvenkovic had carved Putin’s wax statue, which, according to Markovic, is of a very good quality. Serbia’s only Museum of Wax Figures opened in Jagodina in 2006. Its exposition features 30 wax figures of prominent historical, cultural, religious, political and sports figures of Serbia and the former Yugoslavia, including Czar Lazar; Vuk Karadzic, Serbian linguist and enlightner from the 19th century; writer Ivo Andric, the Nobel Prize winner; the former Yugoslav leaders Josip Broz Tito; Slobodan Milosevic and Zoran Dzindzic; scientist and inventor Nikola Tesla; Patriarch of the Serbian Orthodox Church Pavel and tennis player Novak Djokovic. More than 400,000 tourists from all parts of Serbia visited the museum located in the city tourist center visited last year, Markovic stressed.